There exist two miraculous images of Our Lady of Guadalupe: one in Spain, the older, and one in Mexico, the more famous. Both are known by the same name because of some linguistic confusion. The original image of Our Lady of Guadalupe in Spain is an unpainted wooden statue carved in an Oriental style. It was presented to Bishop Leander of Seville in 580 by Pope Gregory the Great. This statue was widely revered by the people of Spain until the invasion by the Moors in 771. At that time it was hidden for safekeeping along with some historical documents explaining its special identity. Those who had preserved and documented the statue died in the conquest and knowledge of its whereabouts was lost for 600 years. In 1326 Gil Cordero, a poor cowherd, was searching for a lost cow when he saw the radiant figure of a lady appear at the edge of the woods. The lady told him about a buried treasure and showed him where to dig to find it. She requested that a chapel be built at that location. Gil reported the apparition to the local clergy and brought them to the place where the lady said the treasure lay. Both the statue and its historical documents were found in perfect condition in an underground cave. King Alfonso built the chapel, and the statue named for the nearby town of Guadalupe was enshrined. Soon miracles were attributed to the veneration of the statue, and the shrine became one of the most popular places of pilgrimage in Spain. Tradition holds that Christopher Columbus visited the shrine before making his first voyage to the New World, and carried a likeness of the statue on his voyages. The conquistadors also carried a replica of the statue with them while on their conquests in America. In 1531 on December 9, only 39 years after Columbus discovered the western hemisphere, an Indian convert to Christianity, Juan Diego, was crossing Tepeyac Hill near Mexico City on his way to Mass. As he paused he heard celestial music which he said sounded like a "choir of birds." When looking up he saw a golden cloud arched by a rainbow. Affectionately a voice called to him: "Juanito, Juan Diegito," and out of the cloud a beautiful young girl, about 16 years old and of Mexican appearance, stood before him. She spoke to him in Nahuatl, his native dialect, and asked where he was going. He replied that he was going to Mass and religious instruction. The young woman told him that she was the "Mother of the true God who gives life." She explained that she wanted to help the poor native Indians and that she would like to have a chapel built on the hill so that the Indians would have a place to come to her. At one time that hill had been the site of a shrine to the Aztec goddess of the earth and harvest, Tonantzin. The pagan shrine had been destroyed by the Christian conquerors. Zumarraga in Tenochtitlan, which became Mexico City. Although 57 years old, Juan had lived his entire life in or near his native village of Tolpetlac. He had never been to Tenochtital which was only about five miles from his home. However he agreed to undertake the Lady's mission, even though it meant venturing into unfamiliar territory to see a person he had never met. At the bishop's residence the servants were amazed that a lowly Indian would request a meeting with the bishop. They kept Juan waiting for hours before informing the bishop that Juan was waiting. When Juan finally spoke with the bishop, matters did not go well. The bishop was polite, but he was clearly skeptical of what Juan told him. As a conciliatory gesture, the bishop told Juan he was welcome to come again to visit, if he wished. A disappointed Juan Diego returned to the hill and reported his failure to the Lady. He asked that she select another messenger because he was a "nobody." However the Lady told Juan there were others she could have sent, but she chose him. Then she asked him to try again the following day, a Sunday. The next day Juan returned to the bishop's residence, and again he was made to wait for hours before he was admitted. Again the bishop listened patiently but remained incredulous. He asked Juan to bring him a sign and then he would seriously consider seriously the request to build a chapel. After Juan reported another failure and the bishop's insistence on a sign, the Lady asked him to meet her again on Monday and she would give him a sign for the bishop. However Juan did not keep the appointment. His uncle, Juan Bernardino, who had raised him from early childhood, was seriously ill. Juan remained at home on Monday to care for his uncle. Juan Bernardino was near death and on Tuesday asked his nephew to bring him a priest. Upset because he had not kept his appointment with the Lady the day before, Juan chose another path to avoid the hill en route to the village. But the Lady was aware of this and blocked his path. She assured him that his uncle would be fine and not to worry. 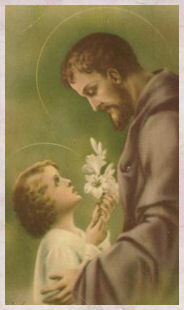 She then instructed him to ascend the hill and gather the flowers he would find there. Very little vegetation grew on that desolate hill at any time of year let alone flowers in December. But Juan did as he was told. There Juan found Castilian roses, which had not yet been brought to Mexico, but would be familiar to the Spanish bishop. Using his tilma, or cloak, as an apron he gathered as many of the blooms as he could carry and took them to the Lady. She arranged them in Juan's tilma. Holding the edges of the tilma close to his chest, Juan proceeded to visit Bishop Zumarraga again. Encountering Juan Diego again at the bishop's residence, the bishop's servants tried to persuade him to leave. But Juan Diego held his ground and expressed his determination to stay as long as necessary. Eventually some of the bishop's staff became curious about what was in his tilma. Juan refused to show them, and they threatened force. Reluctantly Juan opened one corner to allow them a glimpse of the flowers and sniff their fragrance. Immediately one of the servants rushed to tell the bishop. The bishop asked that Juan be brought to him at once. Juan Diego explained to Bishop Zumarraga that the Mother of God directed him to bring the flowers to the bishop as a sign. Juan opened his tilma and roses cascaded to the floor. 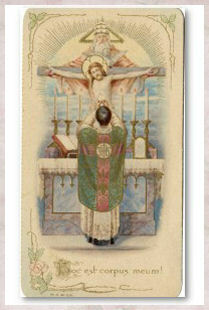 The bishop fell to his knees in reverence of the image that appeared on the cloak. Juan also was astonished at the picture. The bishop invited Juan Diego to stay the night, and the bishop took the tilma to his quarters to be alone with it. News of the miracle spread quickly . By morning the entire city was clamoring to see the miraculous image. The tilma was taken to the cathedral so that all could venerate it. Though Juan Diego believed the Lady when she told him his uncle was fine, he was still anxious to see for himself. After showing Bishop Zumarrga where the apparitions occurred on Tepeyac Hill, the two were joined by a throng of followers as they returned to his village. Indeed Juan Bernardino was fine and had an amazing story of his own to tell. After Juan Diego had left on Tuesday morning to find a priest, and as Juan Bernardino felt his life ebbing, a beautiful young Mexican woman appeared to him. Immediately he felt his strength return, and he knelt before her. The Lady told him not to worry about his nephew because she had sent him to the bishop with her image imprinted in his tilma. She also told Juan Bernardino the name by which she wished to be remembered. The Spanish image of Our Lady of Guadalupe and the Mexican image became entwined in the popular understanding. Neither Juan Diego nor Juan Bernardino spoke Spanish. Their conversations and dealings with Bishop Zumarraga were conducted through an interpreter. When the name by which the Lady wished to be called was heard by the bishop, he thought Juan Diego was trying to say "the Ever Virgin Holy Mary of Guadalupe," a name familiar to him. Consequently that is what he called her image on the tilma. Since the Lady spoke to these two men in their native language, it is dubious that she used the word "Guadalupe," since Guadalupe can neither be spoken nor spelled in Nahuatl because this Aztec language contains neither the letter "d" nor "g." No Indian writings about the miracle use the word Guadalupe; they prefer Tonantizen, the name of the former pagan shrine at that spot, or other pagan names. While the bishop never offered a correction, he was most likely aware of his error because he referred to the image as the Immaculate Conception when writing to Cortez to invite him to join the procession to the first chapel built to house it. 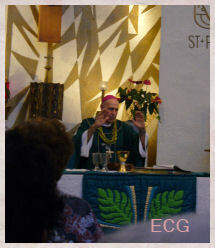 Some thought the bishop made a mistake and that Juan Bernardino used a word that sounded like Guadalupe. Earlier scholars speculated the Lady said Tequantlaxopeuh, pronounced Tequetalope, which means "Who saves us from the Devourer." Devourer is Satan and the dreaded pagan serpent-god Quetzalcoatl to whom 2,000 Aztecs were sacrificed each year. Some think the word the Virgin used was more likely Coatlaxopeuh, pronounced Coatallope which means "she who breaks, stamps, or crushes the serpent. This is reminiscent of both the winged serpent Quetzalcoatl and Satan, and recalls Genesis 3:15. The Indians were treated cruelly by their Spanish conquerors under the leadership of Don Nune de Guzman, who believed the Indians were not truly human and therefore unworthy of evangelization. To him the Indians were soulless and deserved to be exploited. Neither did Bishop Zumarraga and his associates have a high appreciation of the Indians, but they did believe that because the Indians had the ability to reason they could attain salvation through baptism. For this the Indians were accorded a degree of respect. On the other hand, most Indians had no interest or desire to give up their own gods in favor of the God offered by the Spaniards. Juan Diego and Juan Bernardino were clearly exceptions. Fearing an Indian rebellion, the bishop sent a message to Charles V begging that Guzman be replaced. Charles agreed with Zumarraga, but the distance between Spain and Mexico delayed the replacement. The Lady, however, was prompt. 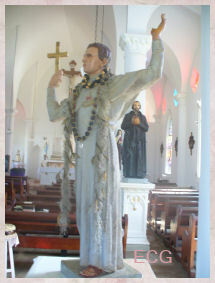 Her apparitions and the miracle of the tilma were the turning point in the Christianization of the Indians. The Indians recognized signs and symbols in the picture on the tilma that were meaningless to the Europeans. As a result eight million Indians were converted in the seven years following the apparitions. The first chapel where the tilma hung took only 13 days to build. Juan Diego was appointed custodian and lived in an adjacent lean-to shelter. For 17 years until his death in 1548 he greeted pilgrims and explained his experience. 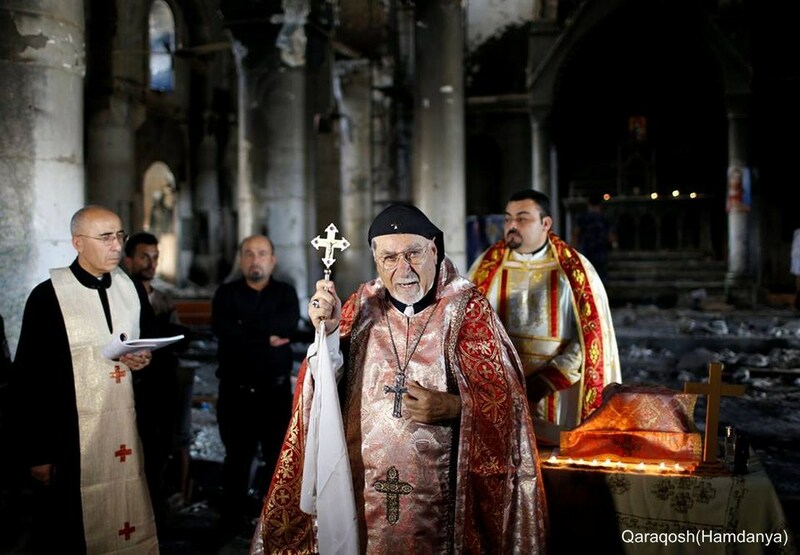 The Syrian Catholic prelate of Mosul is relieved ISIS is being driven out of the city and from the Nineveh Plain, but he said that enormous challenges continue to confront Iraqi Christians. Archbishop Yohanna Petros Mouche told international Catholic charity Aid to the Church in Need (ACN) that Christians are still afraid of returning to their villages. He said that it was “unclear” who would ensure their safety in the liberated villages and that he felt “betrayed” by the Iraqi government. Despite the fact that ISIS is “finished” militarily and has been driven out of the region, the ideology of extremist Muslims remains, the archbishop charged. He cited the example of the murder of a Christian seller of alcohol, last October, two days after Baghdad declared ban on alcohol for the entire country. The archbishop also reported that Christians were “shocked” to discover that about 75 percent of the homes in the liberated Christian villages on the Nineveh Plain had apparently been burned down by local Muslims who had remained there following the ISIS takeover of the territory in summer 2014. “Why did these people, with whom we were associated, do this? We ask ourselves whether this was their way of telling us that they will burn us to death if we return,” the archbishop said. At the beginning of the liturgical year we honor the immaculately conceived Virgin Mary. The solemnity of Mary’s Immaculate Conception is celebrated on December 8, and honors the conception of Mary in the womb of her mother, St. Anne, without original sin. In 2008 we celebrated the 150th anniversary of the Blessed Virgin’s apparitions at Lourdes, where she identified herself to St. Bernadette as the Immaculate Conception. In 2004 we observed the 150th anniversary of Blessed Pope Pius IX’s solemn definition of this dogma on December 8, 1854. Blessed Pius IX explained that Mary was preserved from original sin by a “singular grace and privilege” given her by God “in view of the merits of Jesus Christ,” Redeemer of the human race. Mary, like every other human being, needed the redemptive benefits of Christ. 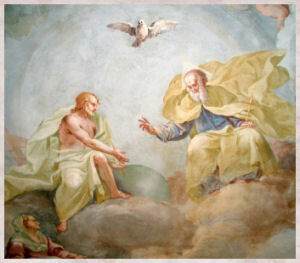 But in anticipation of what God did for all through Christ, she alone was preserved from original sin “from the first moment of her conception.” As one writer asserted, hers was a “redemption by exemption.” By her Immaculate Conception she was conceived in the fullness of grace, in the state of closest possible union with God in view of her future role as the Mother of the Redeemer. sin. The observance spread west from Constantinople. Still called the Conception of St. Anne and observed on December 8, it was prominent in Naples in the ninth century; in English monasteries in the eleventh century, when it was called the feast of the conception of Our Lady; and in France in the twelfth century. theology. Many Catholic thinkers and founders of the eighteenth and nineteenth centuries promoted and expounded Mary’s Immaculate Conception with special interest and verve, and this doctrine became an important part of many Marian spiritualities. 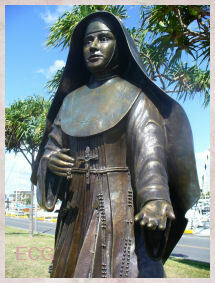 One such exponent was Blessed William Joseph Chaminade (1761-1850), founder of the Marianists. In 1863 a new Mass and Office were composed for the feast of the Immaculate Conception of Mary. This feast is also celebrated as the Conception of Mary by the Church of England. Among the Eastern Christian Churches the feast of the Conception by St. Anne of the Most Holy Theotokos continues to be observed on December 9. The date set for this feast is nine months before the Birth of Mary on September 8. Now, more than 150 years later, we are privileged to continue to honor that solemn definition of Mary's "redemption by exemption" and its recognition by Mary Immaculate at Lourdes. Shared by a friend who is having cataract surgery tomorrow. Please pray for her and for the wife of a deacon who is having open heart surgery tomorrow as well. Thank you. 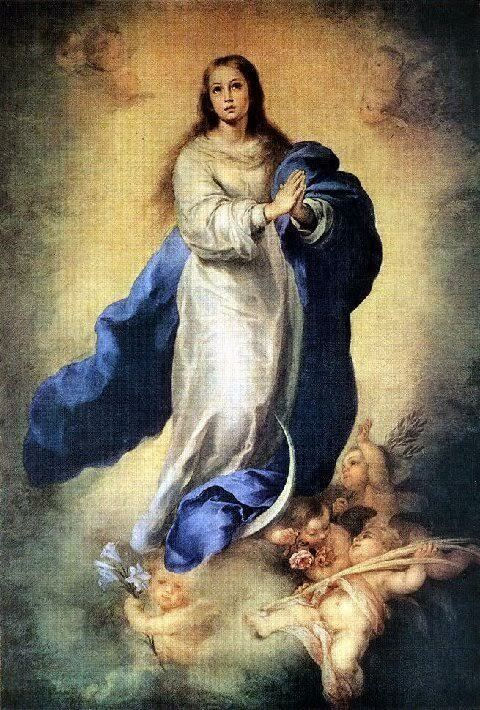 The 8th of December is an important day - the Feast of the Immaculate Conception. It is also the day on which in 1947 Our Blessed Mother gave us the Hour of Grace. 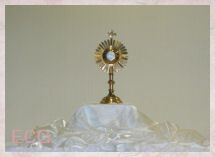 DURING THE HOUR OF GRACE, MANY SPIRITUAL GRACES WOULD BE GRANTED. The most hard-hearted sinners will be touched by the grace of God. "The Blessed Virgin promised that whatever a person asked Her for during this Hour of Grace (even in impossible cases) would be granted to them, if it was in accordance with the will of the Eternal Father. Our Lady said as follows: "It is my wish that every year, on December 8, at noon, the HOUR OF GRACE FOR THE WORLD be celebrated. 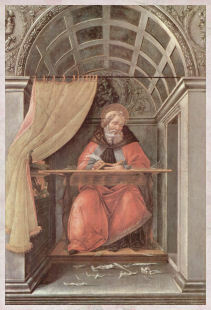 Many divine and bodily graces will be received through this devotion. Our Lord, my Divine Son Jesus, will send His overflowing mercy if good people will pray continuously for their sinful brother.... it is my wish that the HOUR OF GRACE FOR THE WORLD be made known and spread throughout the world. 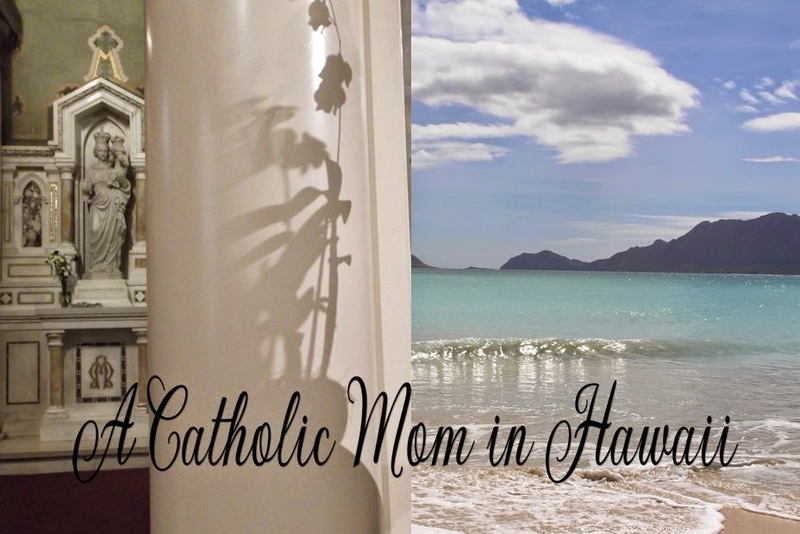 If anyone is unable to visit his church, yet will pray at home, he will also receive graces through me.... will find a secure heavenly ladder and receive protection and grace through my motherly heart." Our Lady promised she will hear any prayer we make at this time. Please copy and distribute this message. Remember to pray for our country during this hour. The Blessed Virgin has requested that her important message be sent throughout the entire world. 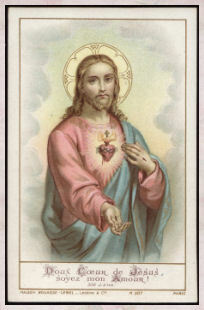 Please help her Mission: that all souls be drawn to GOD, and that JESUS will be loved in every heart. This is the perpetual song of her heart. Let it also be ours. It was November 16, 1947 when Sister Pierrina was finishing her thanksgiving after Holy Communion when she saw a great light. 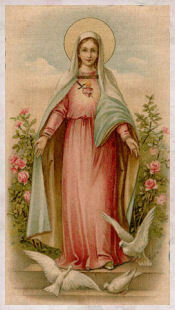 She then saw a vision of the Blessed Mother as the 'Mystical Rose'. Sister was so deeply moved by the stunning beauty of Our Lady that she began talking to Her. All of a sudden a gentle force made her kneel down in front of Our Lady. The Blessed Mother spoke these words: "My Son is greatly offended by the sins of impurity. He is already planning to end the deluge upon the people, for their destruction, but I have asked him to show mercy and not send the destruction. So that is why I have appeared to ask for penance and atonement for the sins of impurity. "Then the Blessed Mother asked for an Act of Humility by Sister Pierrina. She asked her to make the sign of the cross with her tongue on each of the stones in the Sanctuary. "This shall be a reminder to the people that I have appeared here and do not have the people step on those stones. "The Blessed Mother then stepped on each of the stones so that Her gown touched all four stones. On the 22nd of November, Sister Pierrina felt the overwhelming urge to go to Church at 4:00. The Mother Superior, four Sisters and a group of friends accompanied her. They were all saying the Rosary when the Blessed Mother appeared as before.She instructed Sister Pierrina to make the sign of the cross on the stones and fence them off so that no one would step on them.Again Our Lady asked for penance. She said, "Penance is nothing more than accepting all our crosses daily willingly. No matter how small, accept them with love. "At this time, she told sister Pierrina to come again on December 8th at noon. "This will be My Hour of Grace.". The Sister asked how she was to prepare for this Hour of Grace? To which the Blessed Mother said, "With Prayers and Penance. Pray the 51st Psalm with outstretched arms three times. It was December 7th when Sister Pierrina felt the urge to go to Church. This time she was accompanied by the Priest and the Mother Superior.The Blessed Mother appeared with a young boy and girl dressed in beautiful white clothing. Sister Pierrina was sure these little ones were angels because they were so beautiful.The Blessed Mother said, "Tomorrow I will show you My Immaculate Heart which is so little known among the people." She asked people to pray for Russia." There are so many people being held prisoners which their families know nothing of because they have been gone for so many years. Pray for the conversion of Russia, the suffering of the soldiers and their sacrifices and martyrdom will bring peace to Italy.The little children are Francisco and Jacinta. I am giving them to you as your companions. You will have much to suffer for My sake. I want simplicity and goodness from you as of these little children." The Blessed Mother then blessed Sister Pierrina, the Priest and all those who were gathered there. On the morning of December 8th people began arriving at the little Church at 8:00 in the morning from neighboring towns. By noon, some 10,000 people had gathered to see the Blessed Mother, many of whom had to stand outside because the Church did not have enough room for the large crowd. Sister Pierrina was accompanied to Church by her Mother and Brothers, the Mother Superior and the Chief of Police from Montichiari. Sister was reciting the Rosary with the crowd in the middle of the Church. Suddenly a brilliant white light appeared from the ceiling. Stairs were coming from the light down to the floor of the Church about fifteen feet in length.The staircase was beautifully decorated with red, white and yellow roses. The Blessed Virgin appeared so radiant, dressed in white, with Her Hands folded. She was standing on a splendid carpet at the top of the stairs made of the red, white and yellow roses.In the most gentle and loving voice, Our Lady smiled and began to speak. "I am the Immaculate Conception, the Mother of all graces and the Mother of my Beloved Son, Jesus. I want to be known as the Mystical Rose. My wish is that every year on the 8th of December at noon an 'Hour of Grace' will be installed. 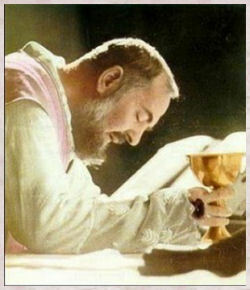 Many spiritual graces and physical blessings will be received by those who pray undisturbed during this hour." Then slowly she began to ascend the staircase gracefully scattering roses as She went along until She reached midway of the staircase. 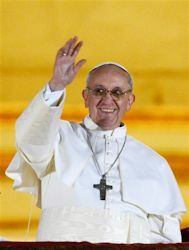 Here again the Blessed Mother spoke, "I am very happy to see this great demonstration of Faith. "Sister Pierrina asked for many of the sinners to be forgiven. The Blessed Mother replied. "My Divine Son will show his Greatest Mercy as much as the people will pray for them. I want this to be known and told to Pope Pius XII. Tell him I want him to install the 'Hour of Grace' throughout the whole world and even for those who are not able to go to Church during this time, can obtain this grace in their homes at noon time. "She also asked that a Statue be made and placed on the spot where she stood. This should be called the 'Rosa Mystica' and carried in procession through the town at which time many graces will be given and cures will take place. Then the Statue is to be returned to the Church.Our Lady prayed for the sick, some will be cured others not. Many men, women and children were cured at that very instant.A twenty-six year old woman who could not say a word for nine months, suddenly began shouting, "I see Her. I see the Blessed Virgin." An eighteen year old girl with ulcers was instantly cured. A five year old boy who had been paralyzed was told by the Blessed Mother, "Come to Me, you will be walking now." He was placed on the Blessed Stones and was able to walk. There were three others who were very sick and were immediately cured. But of course, the greatest miracles taking place were those of the spiritual blessings being shed upon the people gathered in the Church. "The Blessed Virgin Mary..." The subject of this immunity from original sin is the person of Mary at the moment of the creation of her soul and its infusion into her body. "...was preserved exempt from all stain of original sin..." The formal active essence of original sin was not removed from her soul, as it is removed from others by baptism; it was excluded, it never was in her soul. Simultaneously with the exclusion of sin. The state of original sanctity, innocence, and justice, as opposed to original sin, was conferred upon her, by which gift every stain and fault, all depraved emotions, passions, and debilities, essentially pertaining to original sin, were excluded. But she was not made exempt from the temporal penalties of Adam -- from sorrow, bodily infirmities, and death. "...by a singular privilege and grace granted by God, in view of the merits of Jesus Christ, the Saviour of the human race." The immunity from original sin was given to Mary by a singular exemption from a universal law through the same merits of Christ, by which other men are cleansed from sin by baptism. Mary needed the redeeming Saviour to obtain this exemption, and to be delivered from the universal necessity and debt (debitum) of being subject to original sin. The person of Mary, in consequence of her origin from Adam, should have been subject to sin, but, being the new Eve who was to be the mother of the new Adam, she was, by the eternal counsel of God and by the merits of Christ, withdrawn from the general law of original sin. Her redemption was the very masterpiece of Christ's redeeming wisdom. He is a greater redeemer who pays the debt that it may not be incurred than he who pays after it has fallen on the debtor. These rays symbolize the graces I shed upon those who ask for them. The gems from which rays do not fall are the graces for which souls forget to ask.